Yesterday was a lot of fun and there was plenty of great food. 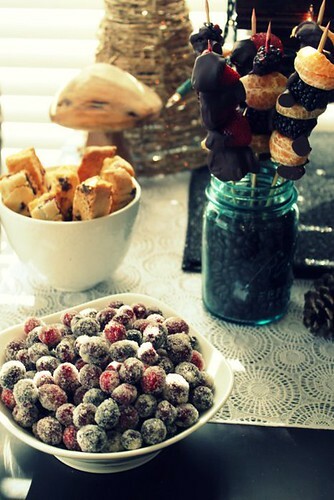 However, I only took pictures of the appetizers because they were by far my favorite. 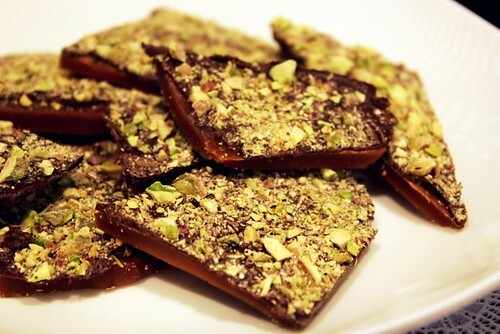 I also made some dark chocolate pistachio toffee for dessert. 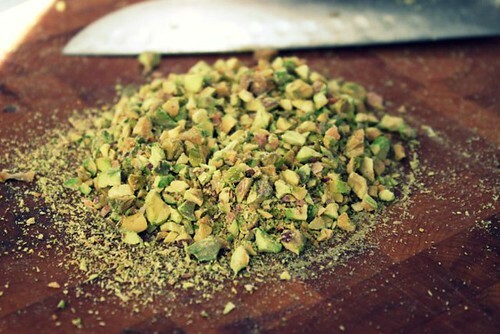 It’s addictive and I’ll be sharing that recipe in a separate post sometime in the next week. 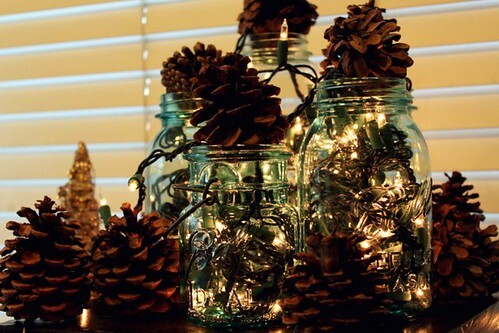 For the decor I used my vintage blue ball jars, pinecones and Christmas lights. I absolutely loved them and am trying to figure out how to leave them all year long. I don’t have any pictures right now, but as a DIY junkie I got the best gifts ever this year, a workbench for my garage and some tools. I can’t wait to set them up and starting sawing things in half, oh yeah! Aside from the frustrating back injury, it was a great day and we all had a wonderful time. 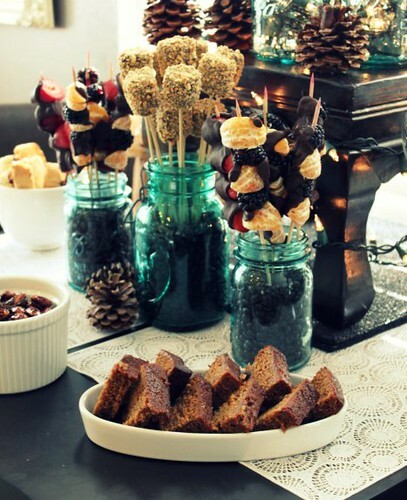 What was the best part of your celebration this year? I’m currently hobbling around the house with a ridiculously painful back injury from yesterday morning. 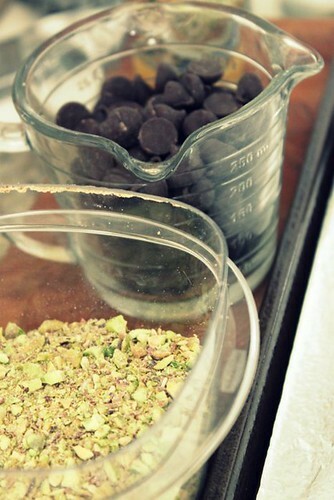 Christmas baking, it’s dangerous I tell you! However, I’m determined to make this Christmas dinner amazing. Luckily my parents will be over in a bit to help with all the heaving lifting so things are bound to get better. 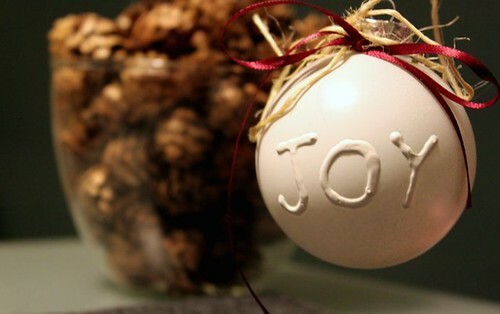 In the meantime, I wanted to stop by and wish everyone an amazing holiday. 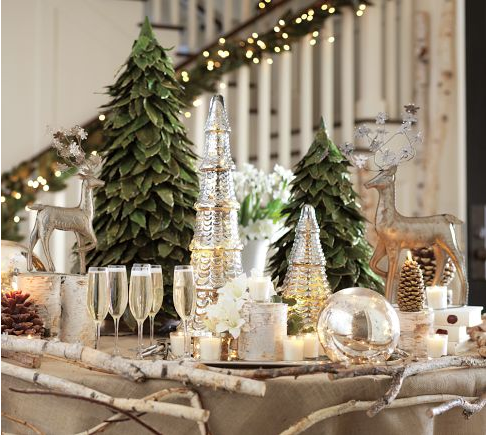 Whatever you are celebrating, I hope it is special and full of magic. This year I am hosting Christmas Dinner at my house and I’ve decided to try something new. 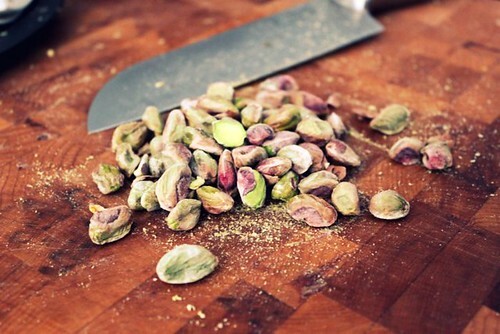 I have planned for several new recipes and it will be more of a small plates meal. Lots of items cooked in small quantities so we can try everything without being too stuffed. 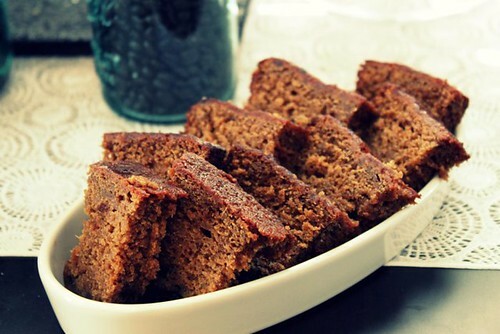 Oh, let’s face it…we’ll never want to eat again..but it will be worth it! I’m not sure why I leaved my favorite ornaments for last, but this is by far one of my favorites. 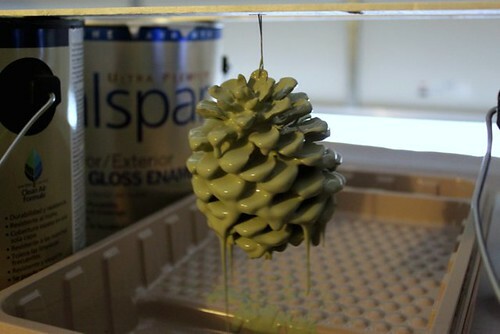 The greatest thing about dipping pinecones in paint is that they aren’t limited to being Christmas ornaments. I can actually keep these out year round since I’ve used soft natural colors. I expect these will end up in vases and bowls throughout the house for the next 12 months. 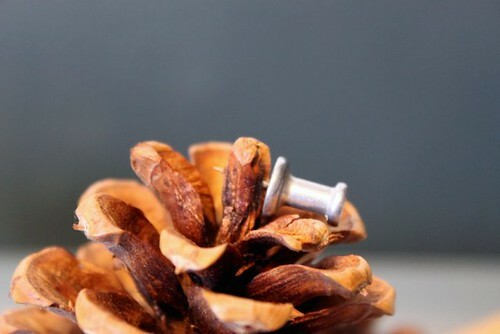 Using a push pin, make a hole in the pinecone. 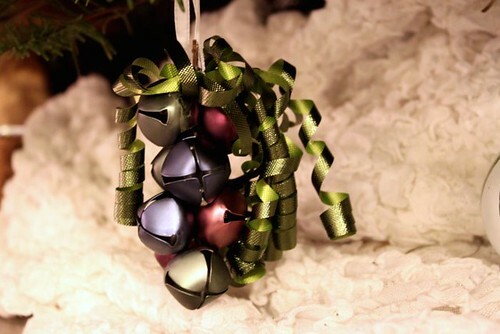 Thread a wire ornament hanger through the hole you just made. Set up a paint station. 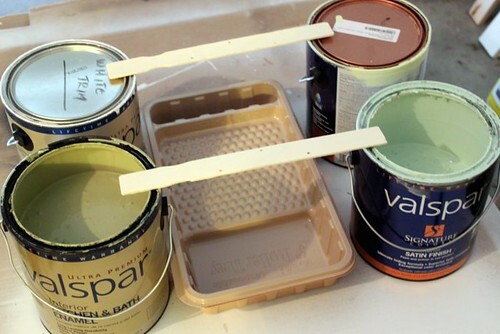 Using a nail and hammer, put several holes near the sides of the paint sticks. Balance them across the paint cans. 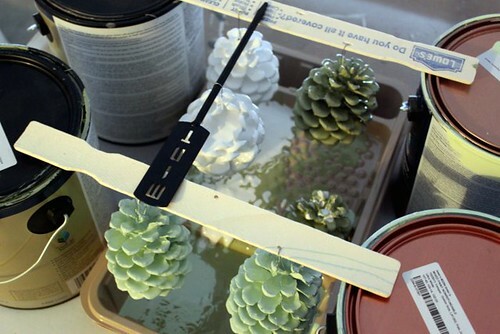 Set a paint tray underneath the paint stick to catch any paint that drips from the pinecones. 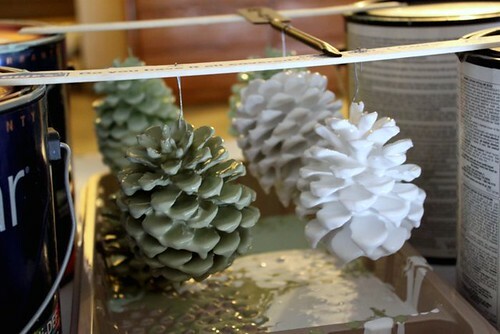 Hold onto the wire hanger and dip the pinecone into the can of paint. 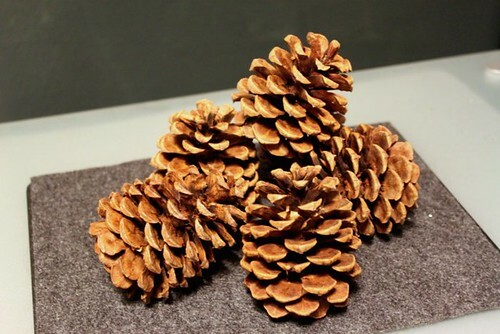 Tip: Use a soft brush or towel to brush any dirt off the pinecone before dipping it. 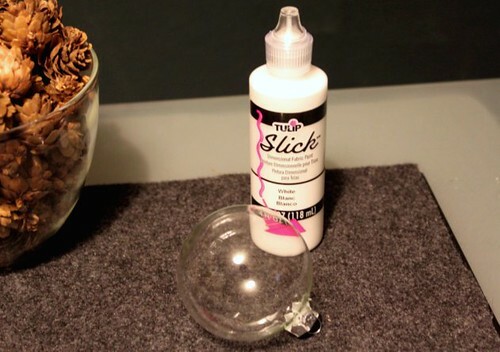 This will minimize any stray dirt that gets into the can of paint. 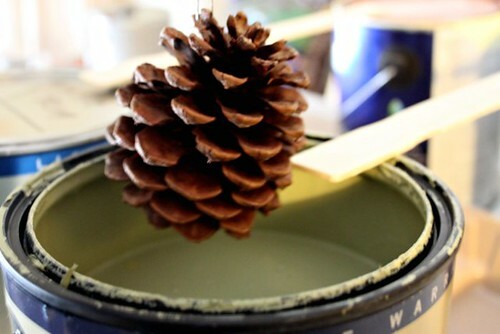 Be sure to dip the pinecone slowly, holding it over the paint can for a few moments to let it drain a bit. 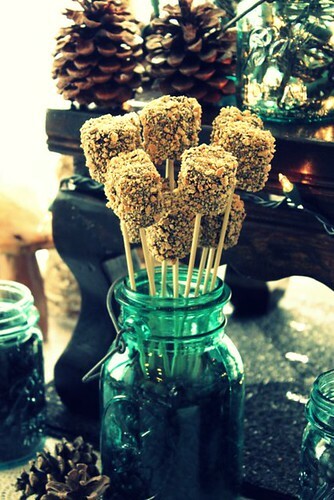 Hang the pinecone from the holes you put in the stir stick. 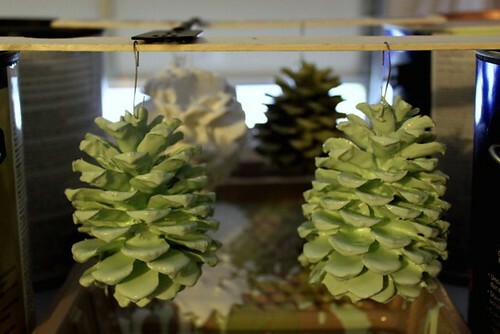 Continue dipping all the pinecones in the paint and hang to dry. 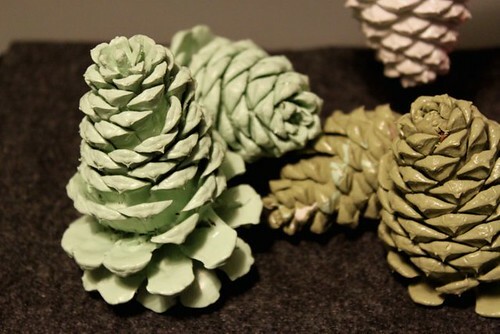 Allow the pinecones to drain/dry for at least 24 hours. 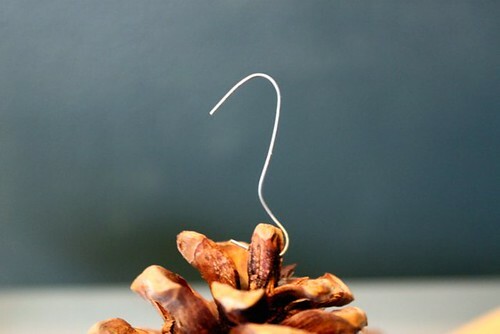 For those that you want to hang from the tree, use the hanger that is already hooked into the pinecone. 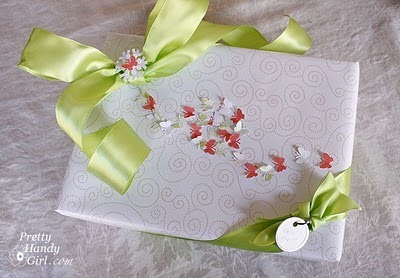 For decoration, add a bow or ribbon around the hanger. 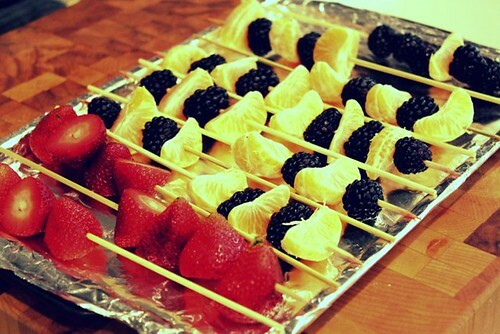 For all the rest, remove the hanger and decorate anywhere you like. The possibilities are endless. I know that I originally said I would complete 20 ornaments; however this will be the last one of the series for this year. I have more ornaments than my little 3 foot tree will hold; and that least two will not be dry enough to share over the next few days. I hope you enjoyed the series, it’s been a blast to share it with you. 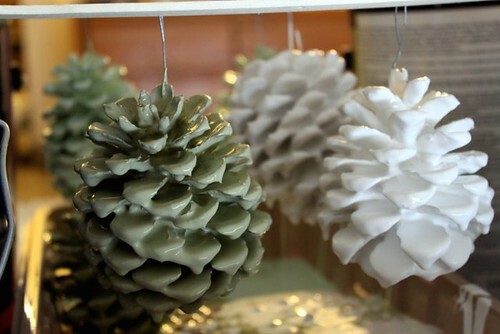 If you missed any of the DIY Ornaments this year, you can see a full collection recap here. 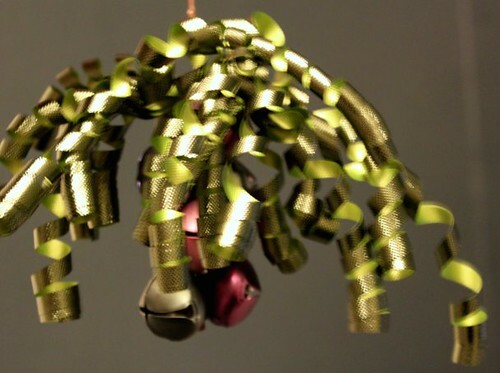 Finally a bells ornament, right? No? Ok…well you get one anyway. 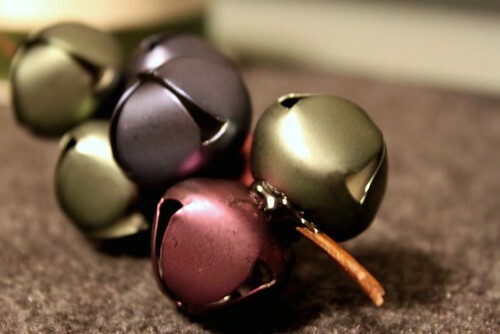 I’ve always had a fascination for bells around Christmas time. I think it’s the sound of bells that ignites the Christmas Spirit so it’s a shame it took me this long to come up with something for the bells. Warning: I didn’t have a tripod while taking these pictures and the low light recorded every shake. I apologize that they are more than a bit blurry. Thread the bells onto the twig, leaving some of the twig exposed at the bottom. Using hot glue to secure the bottom bell to the twig. 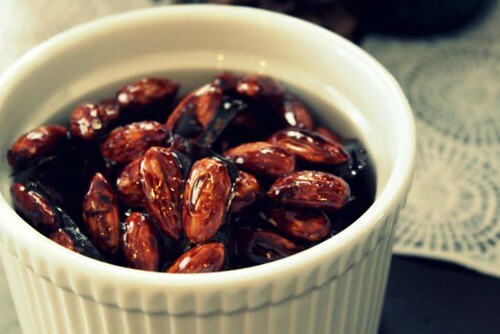 Cut off the excess twig at the bottom. 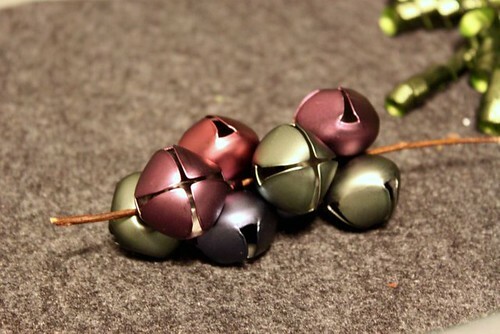 Choose a holiday bow in which to top your bell ornament. 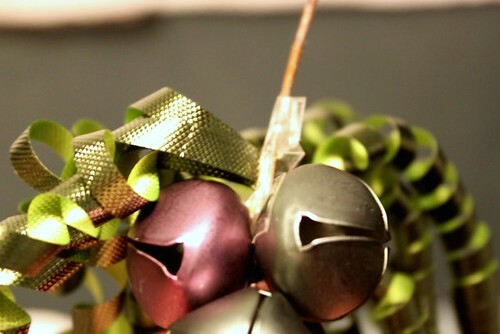 Wrap the adhesive strip from the bow around the twig at the top of the ornament. You may need to cut the adhesive to make it fit. (sorry so blurry) Must. Find. Tripod. Now. 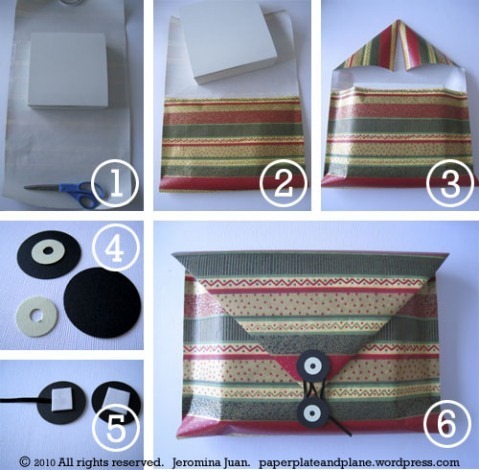 Using scissors, trim the ribbon to show the ornament or wrap the pieces around the bells. 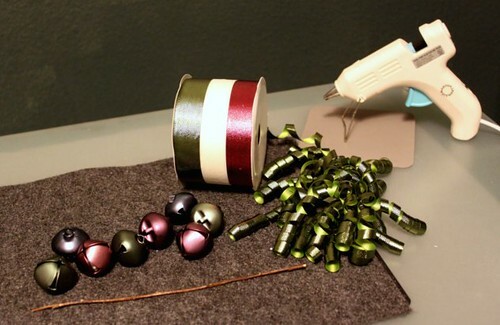 Attach another piece of ribbon on the top of the ornament as a hanger. 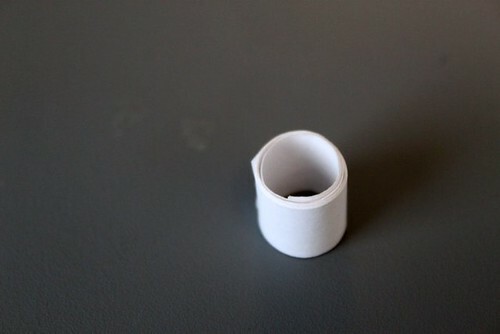 I used a small piece of white ribbon and secured it with hot glue. I know I’ve said it before, but this one is just too cool. 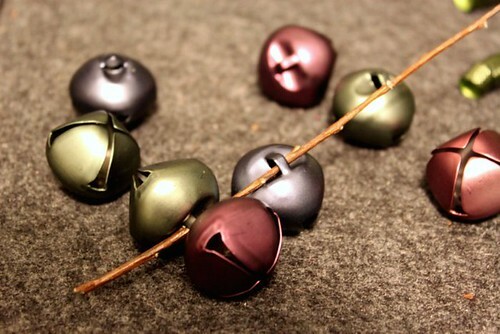 With all the great holiday colors out there, the possibilities are endless. My only suggestion is to NOT use anything paint with glitter. 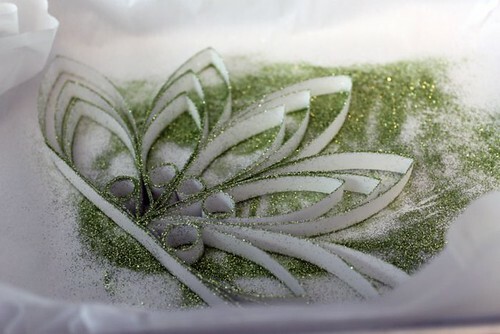 The glitter will eventually drift to the bottom and the end result won’t look as great as you think it will. Trust me on this. 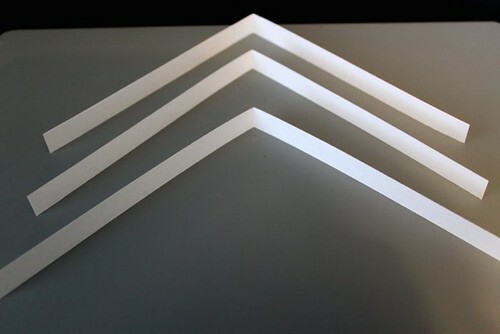 Those paints also tend to be thicker which will be much harder to work with. 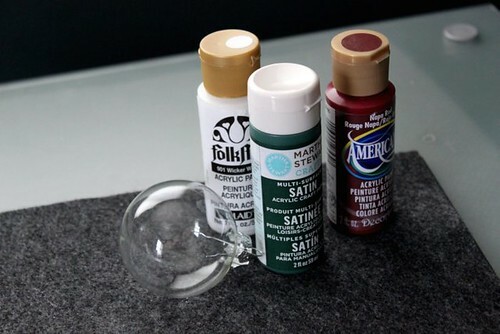 For this project, use a basic, inexpensive crafty paint. 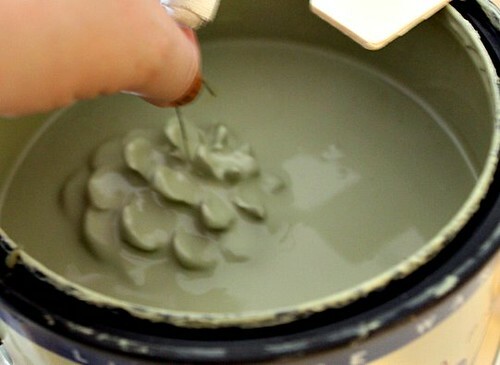 You could also use leftover interior paint if you have some on hand. 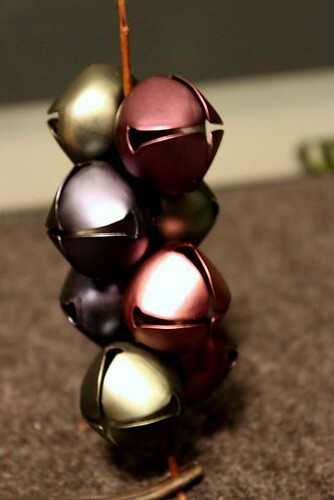 Use the tube anytime you need to balance the ornament (especially important when you are taking pictures). 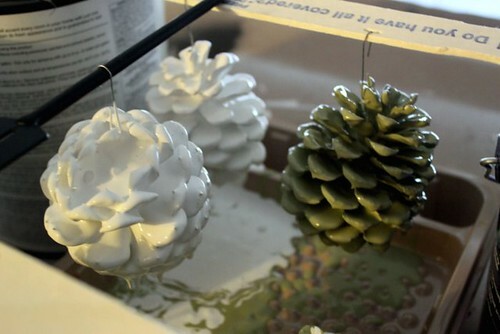 Start by dripping a drop of one color into the ornament and let it drip down the side. 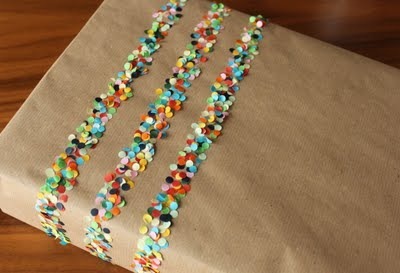 Continue doing this with any additional colors you have. 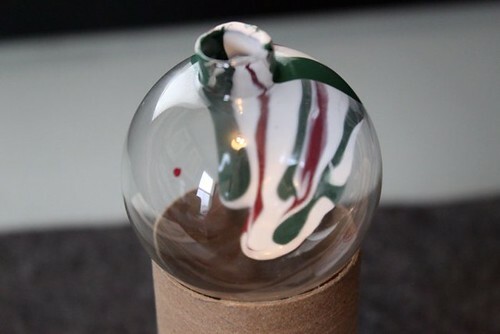 As the paint drips down the edge you want to swirl it so there are no clear parts of the ornament left. 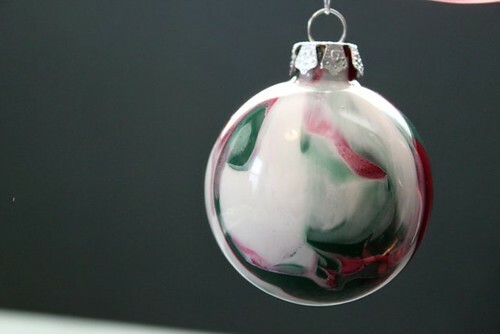 Once half the ornament is done squeeze a few drops of each color into the bottom of the ornament then swirl them around to cover the rest of the ornament. 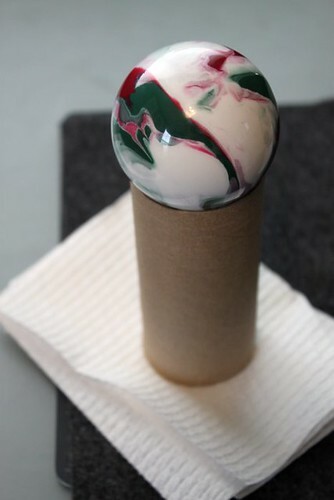 Once all clear spots are covered tip the ornament upside down on the toilet paper to let any excess paint drain. 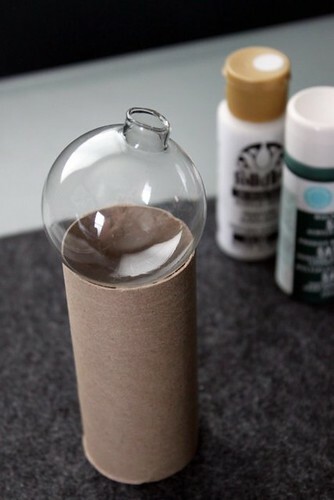 Make sure to put a few paper towels under the toilet paper roll to catch the paint. 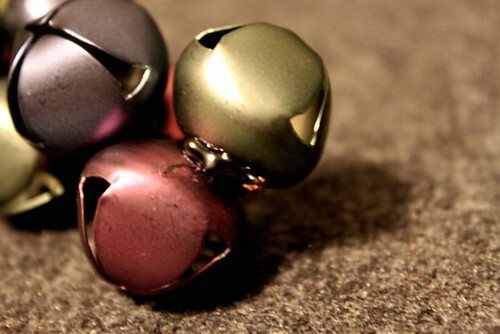 Replace the ornament cap and enjoy! 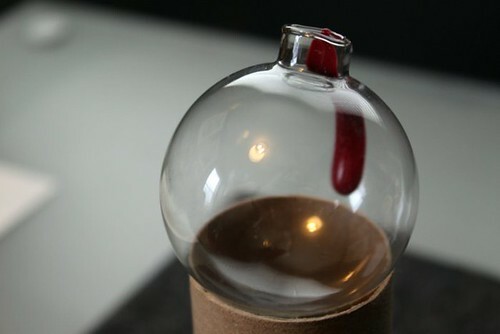 This would also be a great craft to give new life to any old clear ornaments that you have. Even if they have color or designs on them, the marbling could look really awesome. I’ll be honest, this ornament is going to be difficult to explain. 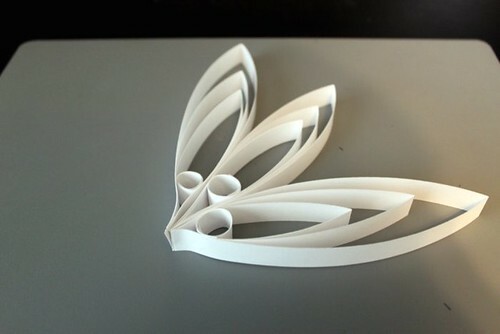 It’s a play off some paper quilling art I used to do in junior high and while it isn’t hard, it is a little time intensive…and that doesn’t include the time I had to take after nearly slicing my finger off with an X-acto blade. 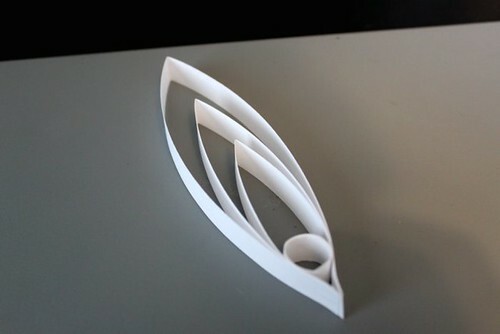 This is also a huge ornament that would probably work better sitting on a mantle or as wall art. 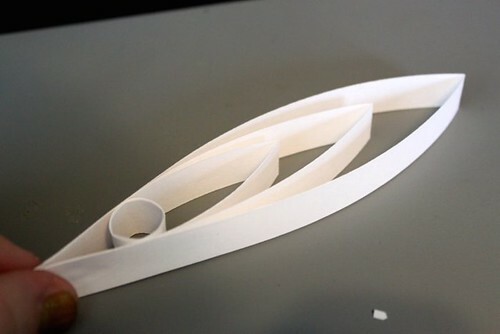 Of course, you could make it smaller simply by using shorter strips, but after cutting my finger, I didn’t want to start over. 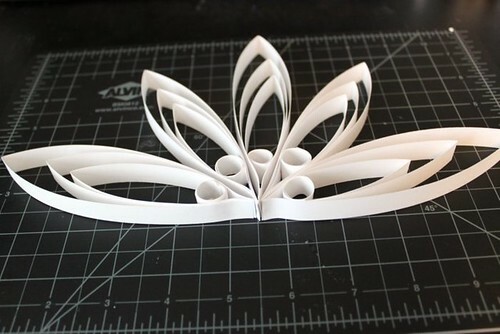 Actually the original plan was to make a full flower, but the end piece was so big that I stopped it halfway, and I think it worked out pretty well. Also, please bear with any typos. The bandage on my hand keeps hitting the ‘y’ key. 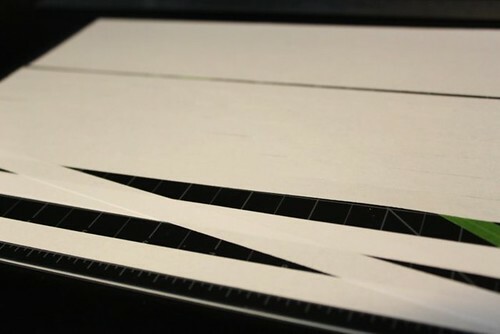 Using the X-acto blade and ruler, cut the computer paper into 1/2 inch thick strips. 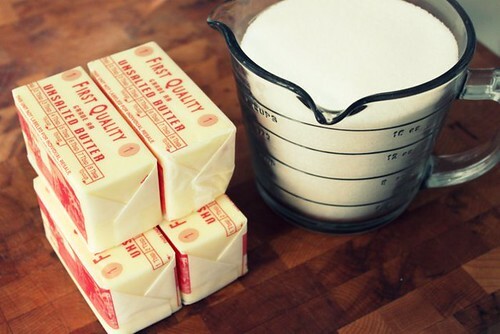 Then cut a 3 of those pieces in half. 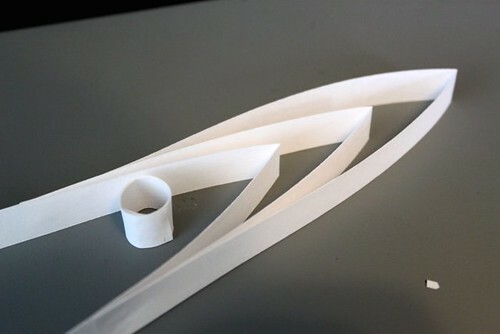 Put a dab of tacky glue at one end and roll, securing with another dab of glue at the other end. 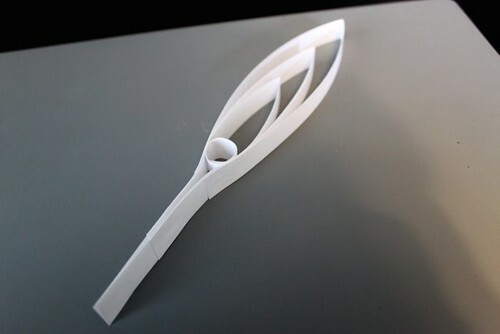 You will need one of these for each petal of your flower. If you choose to do more or less petals than mine, keep this in mind. 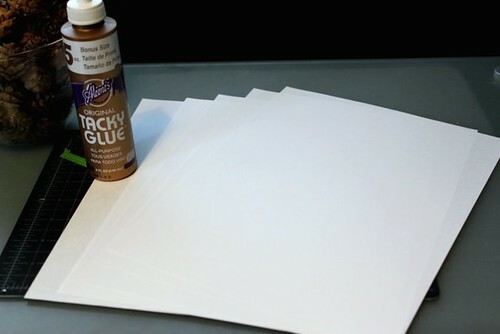 Also, you can use white glue (such as Elmer’s) but it takes a bit longer to dry and the tacky will shave quite a bit of time off the project and you shouldn’t need to clamp anything for drying. 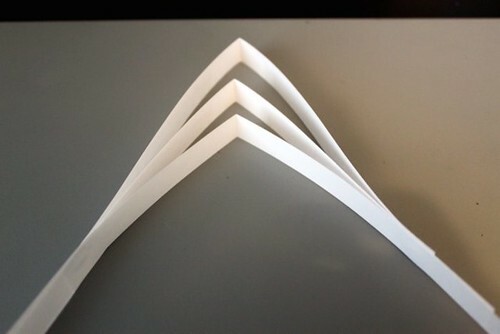 Take 3 strips of full length paper (not the ones you cut in half) and fold them in half. Line them in a way you like, and then glue the sides toether. Add the the circle you created earlier, and figure out your spacing. 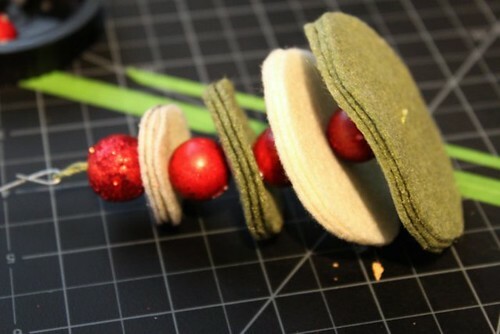 Apple a little glue to the circle and then squeeze the sides in, attached the circle to the sides. 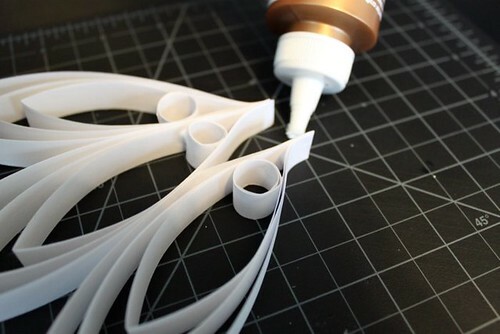 Cut off the excess and add any glue if any of your pieces come loose. 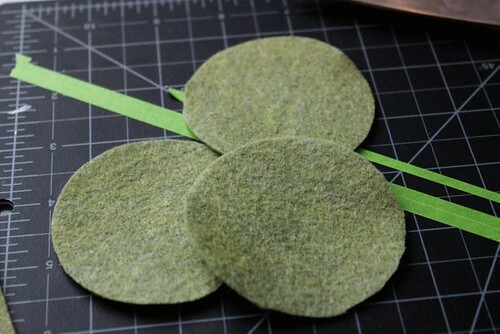 Using Tacky Glue, attach all the petals together at the base as well as in between each petal. 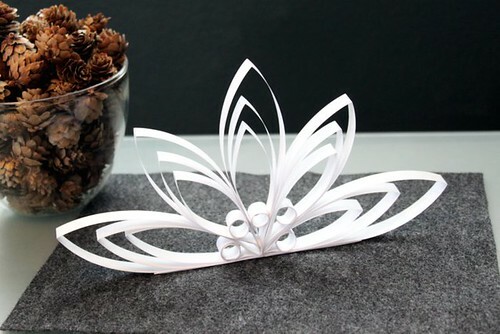 Tip: If your flower is a little flimsy on the bottom, use a few of the remaining strips. 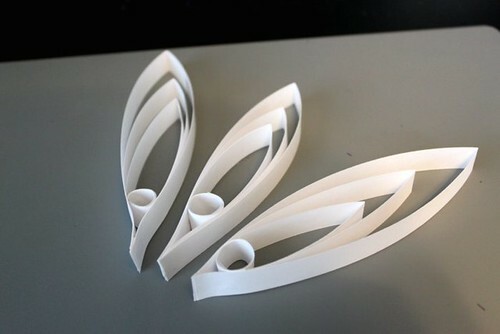 Fold them in half and glue them along the bottom of the flower. 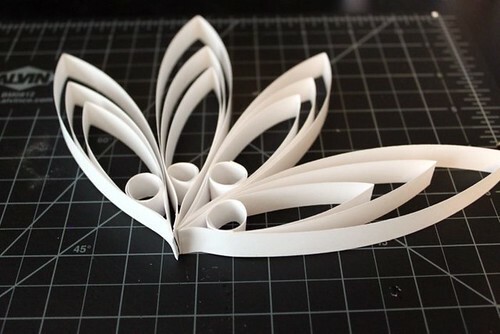 You won’t see them, but they’ll keep the base of the flower sturdy. 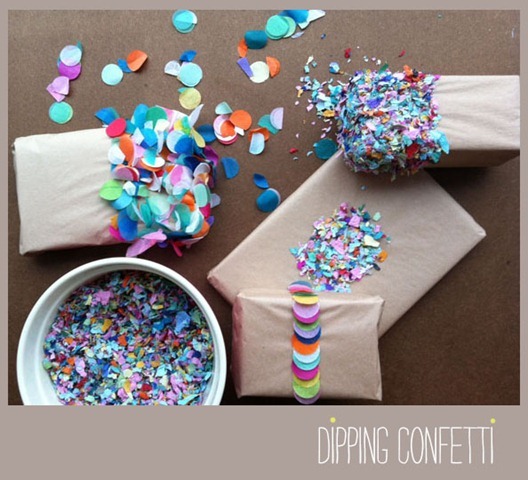 Optional: spray with adhesive and sprinkle with glitter. 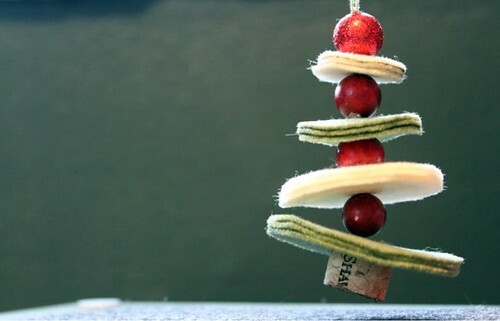 Add a bit of ribbon to the top and hang from the tree. Whoa,where did the day go? Even though today was incredibly busy, it was also completely productive. I feel like I knocked out most of my to do list for this week and it feels so good. The best news of all…my Christmas shopping is DONE! 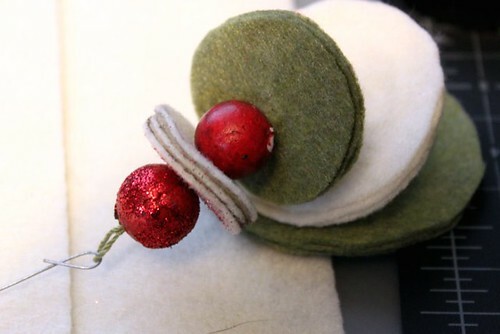 I even finished up the ornament for today; although, I’m barely getting it posted in time. 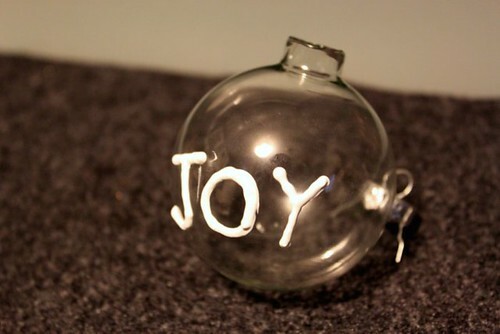 Using the puffy paint, write a holiday message on the ornament. I learned pretty quick that I’m not great at writing with puffy paint so I chose a short word. 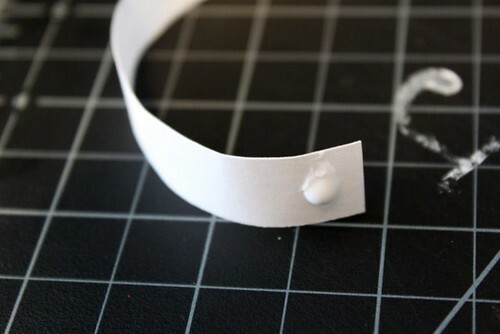 Tip: You can also use hot glue to do this step if you don’t have puffy paint. 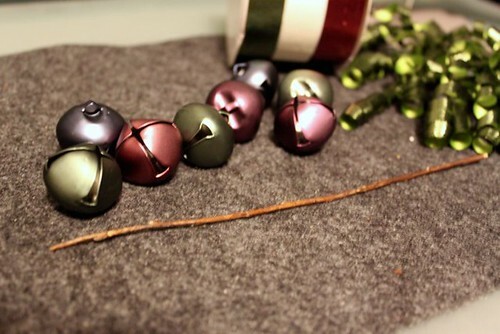 Make sure to clean off any glue strings before you spray the ornament. 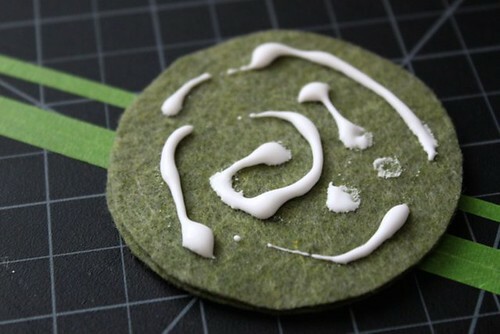 Also BONUS, with hot glue, it will dry much faster and you’ll be able to spray paint much sooner. 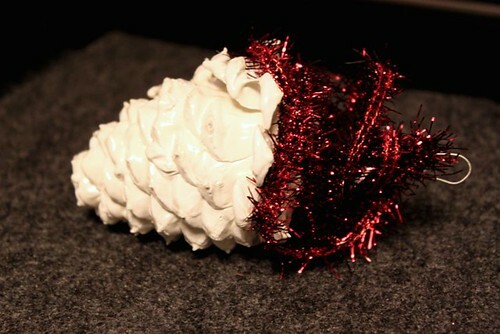 After the puffy paint has dried, I sprayed the entire ornament with some satin white spray paint that I had on hand. Since my garage has terrible lighting, I don’t have any pictures. 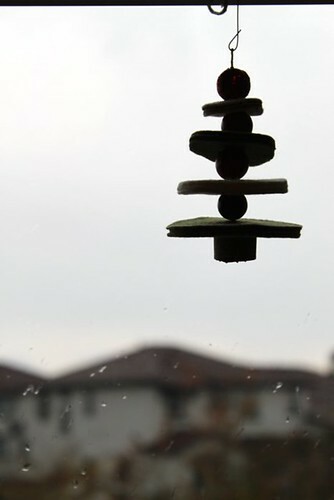 However, it made quick work of the ornament and after letting it dry overnight, I was pleased with how it turned out. 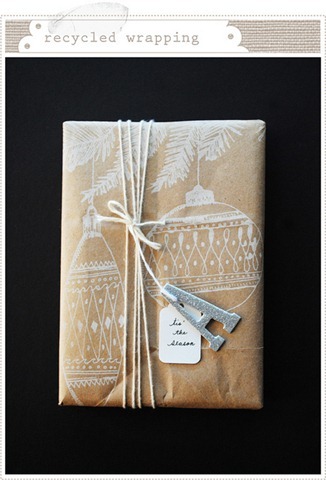 Add a little twine and ribbon for a fun. 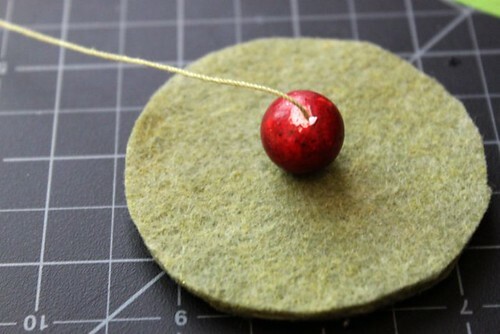 While this ornament is a little more time intensive than other ornaments I’ve done, it really is quite easy and BONUS…It turns out the cutest little felt tree I’ve ever seen. I also had an adorable little helper when it was time to take pictures of the finished tree, I’ll introduce you below. 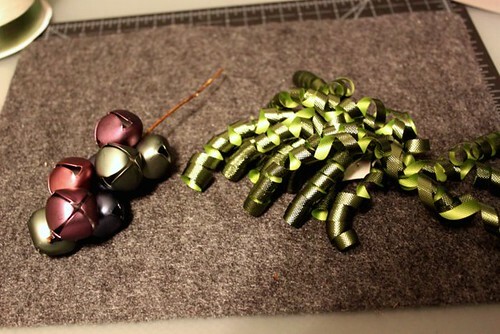 My tree had 4 levels so you’ll need to choose which color will be the bottom level of your tree and cut 3 circles of felt that are the same size. I used a canning lid to make this first layer. These should be the larges of the 4 circles. 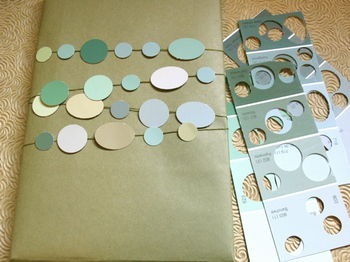 Choose the color felt you want to use for the next level and cut 3 circles of that color, slightly smaller than the previous circles. 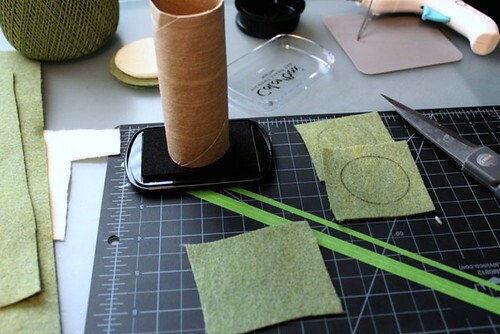 Tip: I’m sure I’m not alone in cutting shaky circle out of felt. To help me keep the circles consistent I found things around my house to help make the circles. 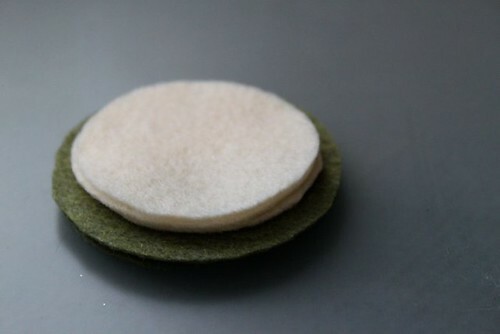 For the 3rd level, I used a TP roll pressed onto an ink pad to create the circle on the felt. 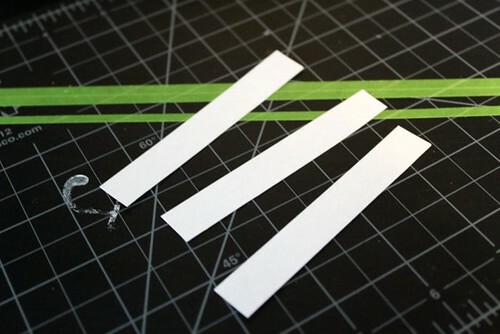 Then it was just as easy as cutting along the line. 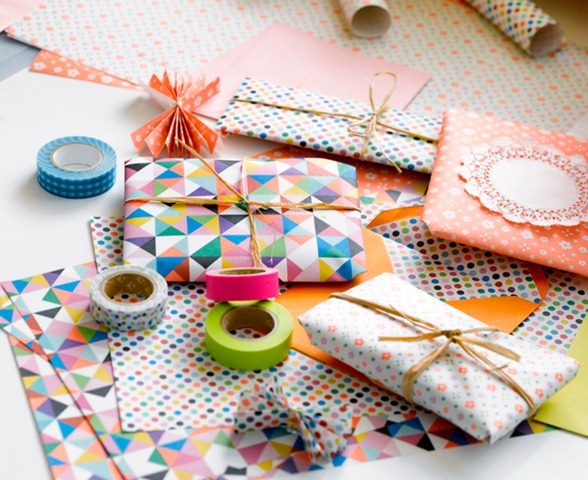 Although if you do this, be light handed with the ink as you don’t want it to show after you cut the circles. Keep going with the additional levels of your tree. 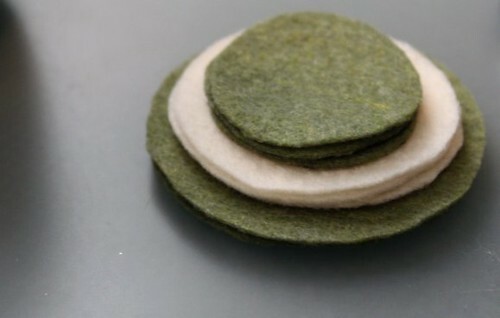 When you’re done, you will have 4 levels of felt that will create your tree. 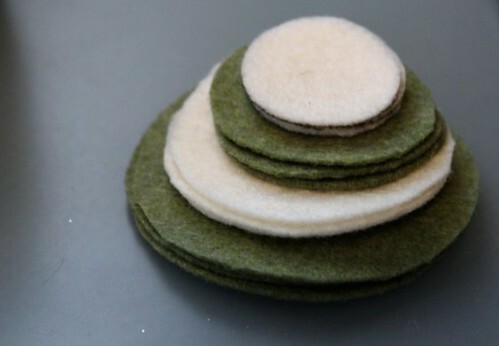 Each level should be made up of 3 felt circles, giving you a total of 12 circles. 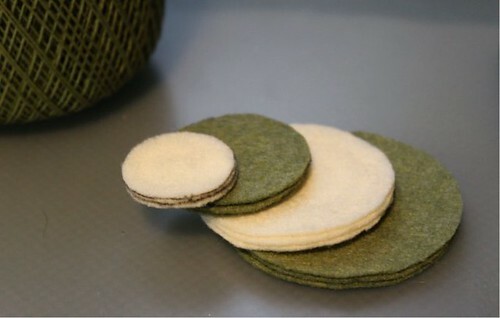 Using tacky glue, glue the 3 layers of felt together for each level. This step is to make sure that each layer of the tree is study enough to actually look like a tree in the end. 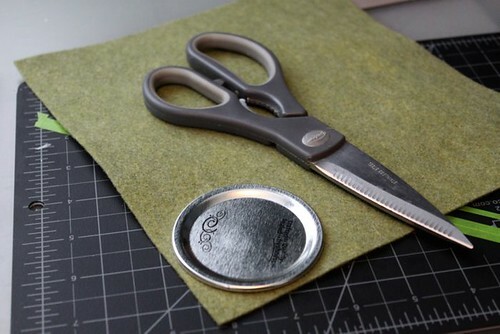 Depending on how thick your felt is, you may need more or less than 3 layers. I used basic felt sheets purchased from Michael’s and 3 layers worked perfectly. 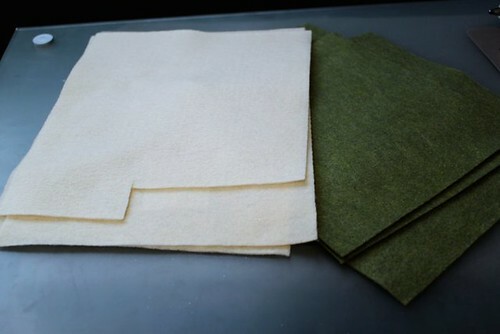 Now, instead of having 12 pieces of felt, you should have 4 thick pieces of felt. Thread a large needle with the string or crochet thread and make a knot at one end of the thread. 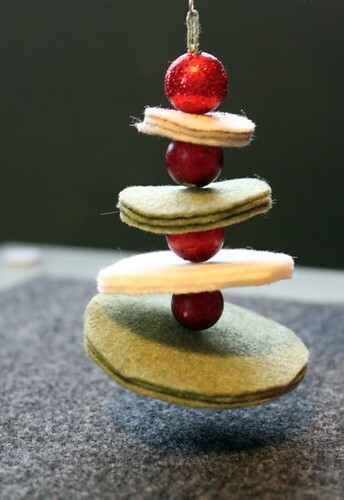 You are going to thread each layer of felt onto the thread, separating each level with a bead or fake berry. 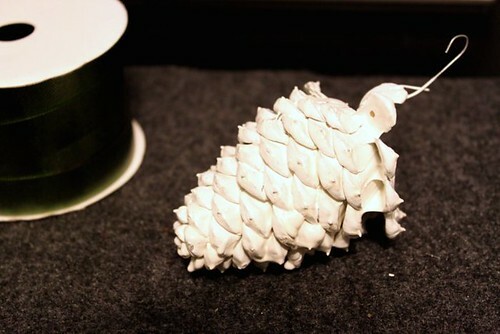 Starting with the bottom layer, push the needle up through the bottom level of tree. 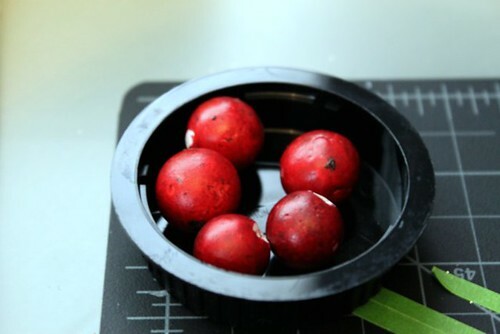 I used fake foam berries that I pulled of a plant I had in the house, but you could use big beads as well. 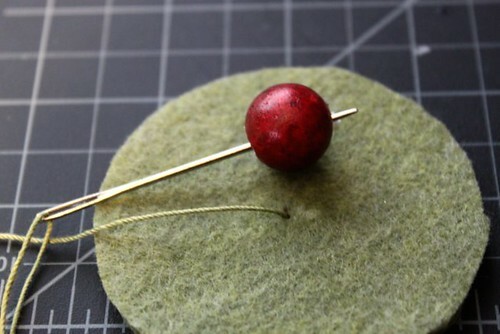 Thread the needle through the berry. 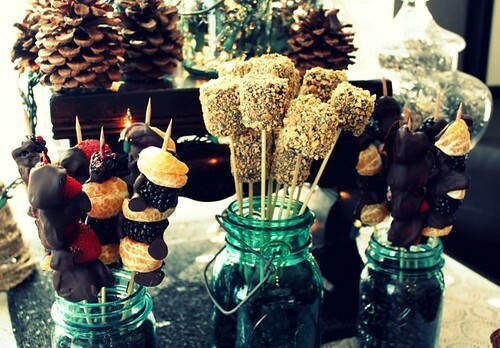 …until you have a complete Christmas tree. 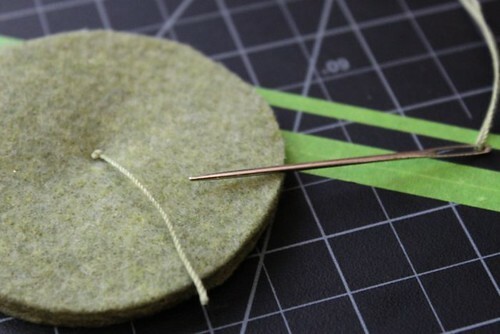 At the top of the tree, make a small loop out of the thread and tie a knot, cut off the excess. 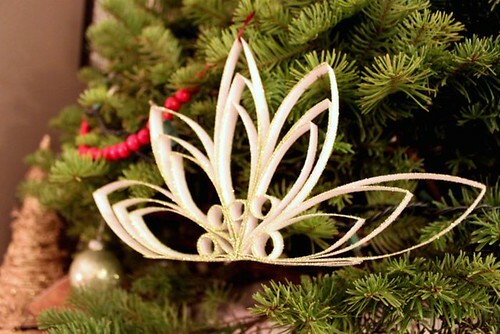 You can then use a basic wire ornament hanger to hang the ornament. 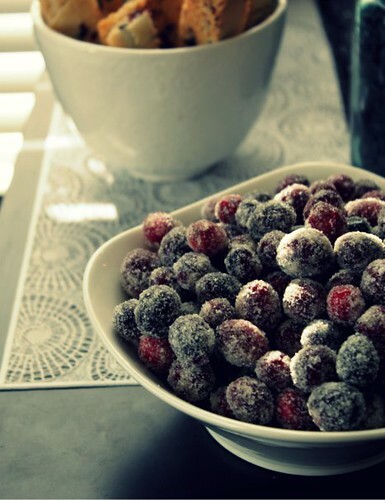 Tip: Use some homemade mod podge and glitter to give the top berry a little sparkle. 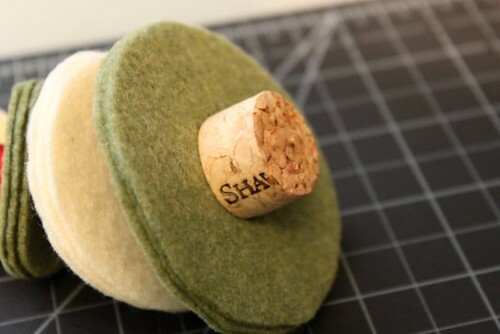 Cut a cork down using a straight edge blade. 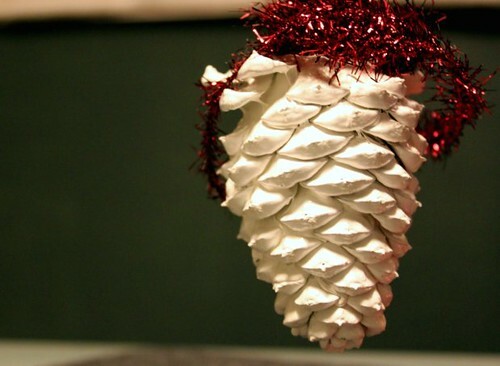 Using hot glue, apply it to the bottom of the tree. 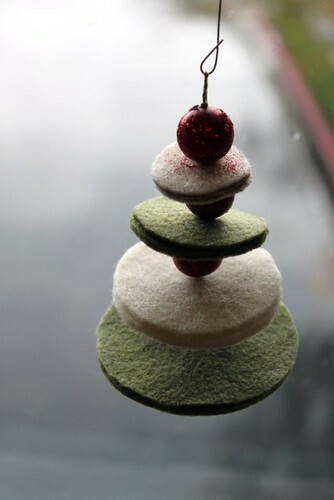 I think this ranks as the cutest ornament so far, I absolutely love it. Behind the scenes: My hands always shake when I’m trying to hold the DSLR with only one hand and the ornament in the other for pictures. So I had to enlist a little help in holding the ornament during the photoshoot. Meet my little balloon dog…He did a great job. Total Project Cost: $0 FREE! 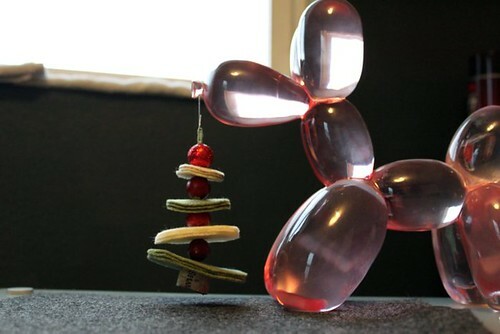 The balloon dog is heavy light pink glass and looks like a balloon dog in every way, he’s adorable. I picked him up for cheap at Homegoods a while back, but I believe you can still find it at retail stores online.